Half of my family was raised in the Northwest, probably by wolves. The other half raised in a barn, probably by raccoons, in the Southeast. My father, after graduating from the raccoon version of high school, joined the military, married my mom, had me (not sure if that is the correct order), then my sister. I was delivered by a buzzard, not a stork. Yes, my mom's doctor was Dr. Buzard. My sister, I believe, was found under a rock. We pulled our camper trailer full of cats back and forth across the Continental Divide. Our three cats, at the time, were; Big Kitty, Little Kitty, and Pissant. Big Kitty, once got lost in a huge swamp. He showed up two days later in the pouring rain, thank goodness. The swamp is now known in our family as "Big Kitty Bottoms". If you go there today, you will probably find bobcats with black and white fur. Little Kitty had brain damage from getting hit in the head with a fan in the car engine. She lived a long time in diapers. Don't get me started on Pissant. But, I digress. We camped in the redwoods, swamps, deserts, great plains, beaches, conifer forests, deciduous forests, petrified forests, valleys, peaks, and everywhere in between. I'll tell you about the time I saw Bigfoot later. I got really good at catching lizards and frogs. My sister got really good at shooting her mouth off. My mom got really good at simultaneously driving and smacking us, while we fought in the back seat. Dad got really good at jumping out of helicopters, punching sharks in the face, and rescuing people from icy, watery graves. So when Dad said "clean your room," it had better be frickin' spotless. When it came to my extended family, we only saw a few of them once every two to four years. Most of them are dead now. I think. Every few years I'll meet a live one. So anyway... After three years at the University of Swamp Rats, I received my two year degree in Uselessness. I dropped out before I could get my BA in Advanced Uselessness (or was it BS? ), to marry the first guy who didn't run screaming out of the room when he first met me. So now after 20 years of marital bliss, my hubby still spoils me rotten and we have an OCD Ninja for a daughter. She is pretty, but seriously, she knows 100 ways to kill you with just her stare. Occasionally, we throw our three cats (Sparta, Madison, and Super Rawr Rawr) in the camper trailer, along with other assorted small animals, and drag them across the Continental Divide. I regale my OCD Ninja tween with horror stories of my childhood. She knows how to cook anything with a battery charger and she is grateful she doesn't have a sister. I spared her the opossum info. I have my limits. Well, like an awesome person once said (don't know who, but it was probably me), "You can't toot your own horn sitting in the back seat." I amassed quite a few skills all of those years in the back seat... of... the car....wait, that didn't sound right. What I mean is; on the long road trips, I taught myself how to draw, write, and fight car sickness. Believe me, fighting car sickness is a master level skill. Drawing and writing have been my ever growing love for years. (Queue music) My stories are mostly Science Fiction and Fantasy. The love I have of nature and science always inspires me. The topics I choose are allegorical political issues I feel strongly about. Each story is deeply personal. I try to build worlds that are realistic, touching upon all of the senses. I try to develop realistic characters readers can relate to. If writing a story is painting a picture for the mind, then my goal is to create more beautiful and complex pieces of art as time goes on. Perhaps one day, a reader will come away with a gold nugget of truth discovered within him or herself. So like my heroes and heroines, the readers in their difficult times, will find some humor and a chance to grow, find peace and love.... Push the button, Frank. 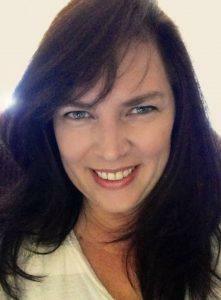 Jennifer L Weir is the author and illustrator of the 'Wayfarer Chronicles' series, available soon. She really has no problem with her sister. Also, she is not as funny as she thinks she is.